If the atoms have magnetic moments in the material, they can be called magnetic materials. Iron, cobalt, nickel and manganese have magnetic moments with their alloy atoms, which are common magnetic materials. Gold, silver, copper, aluminum and other atoms have no magnetic moment and are non-magnetic materials. But magnetism includes ferromagnetism, antiferromagnetism, spin glass and so on. In ferromagnetic materials (each arrow in the picture represents the magnetic moment of an atom). The adjacent magnetic moments are arranged parallel to each other, showing ferromagnetism as a whole. In antiferromagnetic materials, because the adjacent magnetic moments are antiparallel, the magnetic moments cancel each other, and the whole does not show magnetism. There are several kinds of magnetic materials. 2. The arrangement of magnetic moments in ferromagnetic materials. Only ferromagnetic materials are mentioned below. For a large piece of magnet, its spontaneous magnetic moments will not be arranged in one direction. Thus, although the material is ferromagnetic, it is divided into many magnetic domains that cancel each other out and there is no overall magnetism. Technically, this is the complete “demagnetization state” of magnets. If the magnet is placed in a large magnetic field, all the magnetic moments can be pulled in the same direction, “saturated magnetization”. For a hard magnetic material, the magnetic moment is still single domain along one direction after the magnetic field is removed. For example, the diagram above shows that the magnet is N pole on the right and S pole on the left. Permanent magnets exposed to everyday life are made of hard magnetic materials. The so-called permanent magnetism is the removal of magnetic field and magnetism. For soft magnetic materials, the magnetic field is removed and returned to the “demagnetized state”. The magnetism disappears and there is no magnetic pole. Soft magnetic is usually used in the core of the electromagnet. 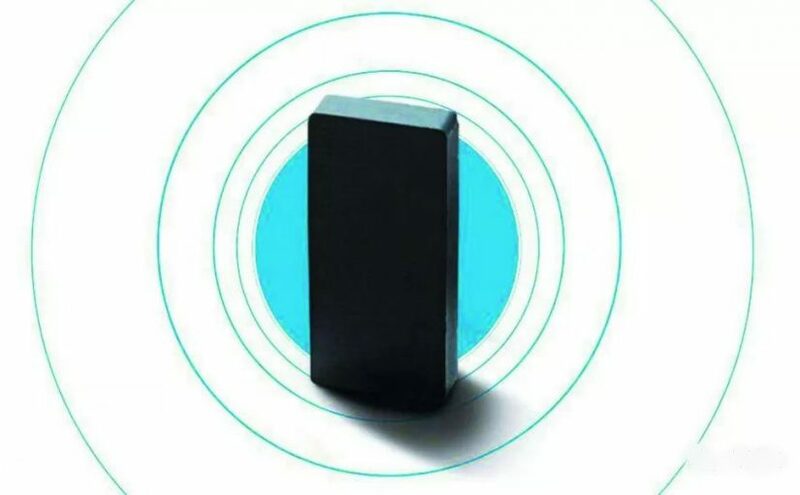 First of all, the shape of permanent magnets in hard magnetic materials can be neglected. The distribution of magnetic poles is related to the material itself and the history of magnetization. That is to say, when saturation magnetization is initially performed in a large magnetic field, the N pole is in that direction in which the external magnetic field is applied. There is no difference between the ring type or the ball type. So, if it’s a soft magnetic material, like Permalloy, then the distribution of magnetic moments depends on shape, size, and so on, which is more fun. First, for a disk, there may be magnetic vortices. The magnetic moments in the disk are arranged in a rotating arrangement, but the center is vertical. Turn into a ring, that is, onion. In these cases, it is difficult to define the traditional poles. As for the magnetic ball, a magnetic moment distribution is shown below. 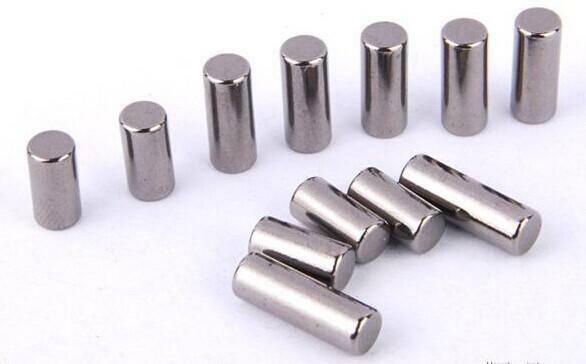 Author Maria HigginsPosted on August 28, 2018 Categories Neodymium MagnetsTags Ferrite magnet, permanent magnet, Samarium cobalt, SmCoLeave a comment on What are the Types of Magnets? 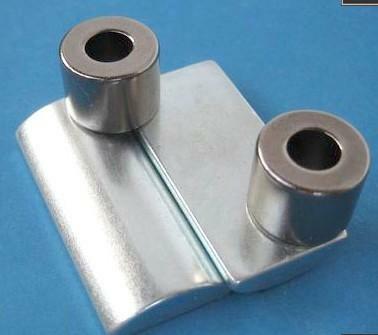 At room temperature, the neodymium magnet is the most powerful permanent magnet. But this is only at room temperature. Early Neo magnets had an annoying flaw: they were sensitive to temperature, and when the temperature rose, the magnetism dropped dramatically, and when it was above 100 degrees Celsius, it was completely demagnetized. But now an improvement has been found by adding a small amount of dysprosium, another rare earth metal, which is less sensitive to temperature changes. 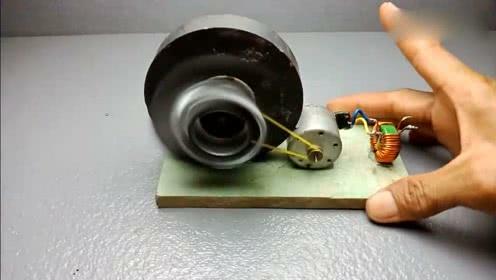 At the same time, a technological revolution driven by permanent magnets opened the curtain. Anywhere you want to produce the strongest magnetic field with the least amount of material, Neo permanent magnets are preferred: car engines, spindle motors on CD and DVD readers, electric signals converted into sound diaphragms in headphones and speakers, and super magnetic fields needed in medical magnetic resonance technology… By 2010, even though cheaper ferrites still dominated the market, neodymium permanent magnets were worth more than a dozen or even hundreds of times more than ferrites in terms of volume. However, when Neo permanent magnets were developed, the demand for rare earth metals surged. Rare earth metals aren’t really rare on the planet — they are a few parts per million in the earth’s crust — they’re “rare” because they’re hard to find. Each computer needs only 50 grams of Neo permanent magnet. It doesn’t seem like much, but given the number of computers around the world, it’s almost an astronomical number. Now, with the rise of green energy technology, the consumption of computers has become a great mystery. Turbine motors in wind farms, as well as electric cars and bicycles, require lightweight and powerful permanent magnets, and only Neo magnets currently meet the requirements. Each electric vehicle consumes 2 kilograms of Neo permanent magnets. The power of megawatt wind turbines will consume 2/3 tons of Neo permanent magnets. Therefore, it is imminent to develop new and stronger permanent magnets. It is better to reduce the number of rare earth metals. The ideal situation is to stop using rare earth metals. The United States has invested huge sums of money in finding new permanent magnets. 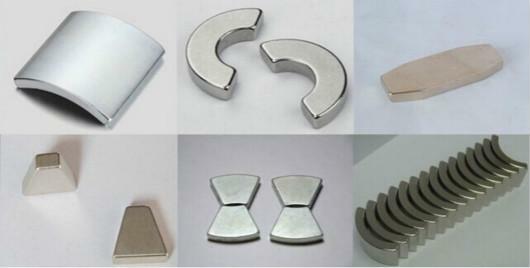 At present, scientists are trying to improve the performance of Fe Ni alloy permanent magnets. Usually, when two magnetic metals, iron and nickel, are fused together, they form disordered structures in which it is difficult to align electrons in the same direction. One exception, however, is that iron and nickel atoms are arranged in regular layers in a mineral called cubic nickel rubble. Once a magnetic field is applied, the electron spins tend to move in the same direction. But this mineral is very difficult to form under natural conditions, especially on the earth. In fact, the only orthoclase sample in the world today comes from a meteorite that took at least billions of years to form. One billion years is certainly too long for us. The goal of scientists is to synthesize it in the laboratory and do what nature needs to do in billions of years. Another ongoing attempt that seems to be completely different is to use carbon as a permanent magnet. It is well known that graphite and diamond are nonmagnetic, and the incorporation of carbon into pure iron also makes it lose its magnetism. But making compounds of carbon and other elements into nanoparticles is another matter. Scientists found that the material showed strong magnetism. For commercial secrecy, what the material is and how to make it is not convenient for scientists to disclose. But they say the permanent magnet will one day beat neodymium at both performance and price. Author Maria HigginsPosted on August 7, 2018 Categories Uncategorized1 Comment on Hello world!